Ideal for use in your home or office, the striking design of traditional meets contemporary, makes our office chair, with integrated arms, as stylish as it is comfortable. The chair is made from strong and durable bentwood that gently curves to envelop your upper body. 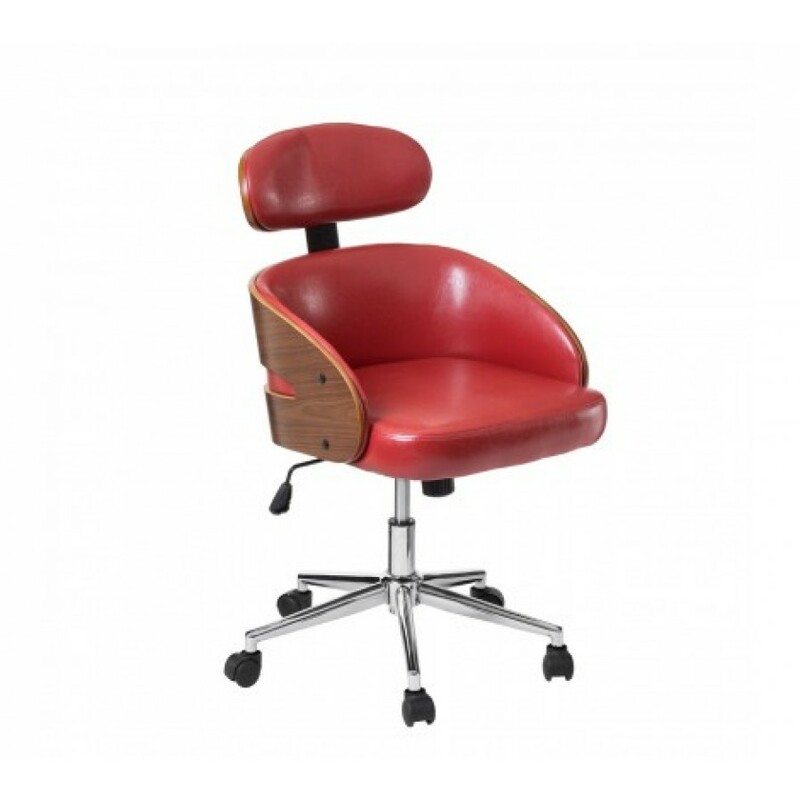 Deep and soft claret red leather effect padding cover the inner frame of the chair which guarantees total comfort when seated. The base is constructed from robust metal and given a chrome finish adding to its eye-catching design. On castors, the chair is easy to manoeuvre and can swivel 360°, so there will be less twisting your body. We know that not all desks are the same level, so you can simply adjust height of the chair using the paddle below the seat. A wonderful addition in your home or office, you can be assured of comfort allowing you to focus on the work at hand as well as have a stylish piece in your room.